On Tuesday, YouTube, a unit of Google, updated its policies “to make it clear” that challenges “that can cause death and/or have caused death in some instances,” pranks “with a perceived danger of serious physical injury,” and anything that causes “children severe emotional distress” are not allowed on the site. In a statement, YouTube said the update — which cited pranks involving home invasions or drive-by shootings as unacceptable — was a result of a routine review of its long-standing enforcement guidelines and an effort to better define what it allows users to post. Users whose videos are taken down over the next two months for violating the standards can appeal the removals. The revised guidelines specifically cite Tide pod challenge videos as the kind that are banned, but they do not mention a more recent YouTube phenomenon that presumably falls in the same category: videos of people taking the “Bird Box” challenge. Inspired by the Netflix film of the same name, the challenge calls for people to perform everyday tasks — including, in at least one high-profile case, driving — while blindfolded. A spate of videos posted on YouTube in recent weeks that show people taking the challenge have prompted warnings from authorities and Netflix. 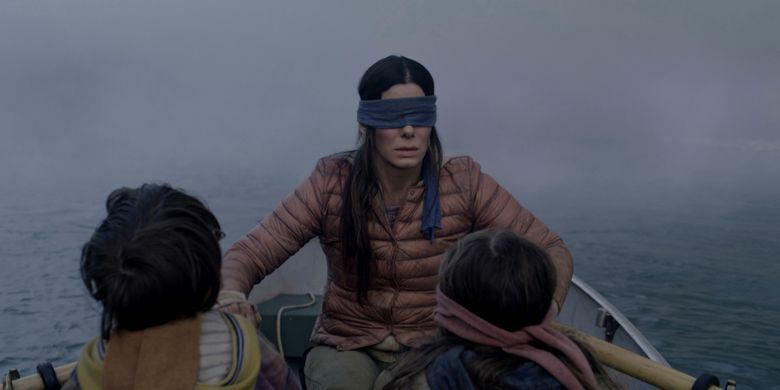 “Can’t believe I have to say this, but: PLEASE DO NOT HURT YOURSELVES WITH THIS BIRD BOX CHALLENGE,” Netflix pleaded in a message on Twitter. “Bird Box” challenge videos have shown children running into walls and YouTube celebrities spending 24 hours blindfolded, and have veered into more dangerous territory in Britain, where transport police are investigating footage of a man walking blindfolded onto railroad tracks. When the Tide pod challenge went viral last year, Procter & Gamble, the detergent’s maker, urged parents to keep their children from taking part. “The possible life-altering consequences of this act, seeking internet fame, can derail young people’s hopes and dreams and ultimately their health,” David Taylor, the company’s chief executive, said in a statement at the time. Another of the challenges cited in YouTube’s revised guidelines, the fire challenge, has resulted in children who attempted it being hospitalized. Other popular pranks and challenges have been innocuous, humorous and even virtuous. Talk-show host Jimmy Kimmel has gotten laughs by challenging parents to give their children unimpressive presents and then record their reactions. Other examples have involved people dancing to Drake or flipping a bottle of water. The Ice Bucket Challenge raised awareness of, and money to fight, amyotrophic lateral sclerosis, or Lou Gehrig’s disease. YouTube said it would continue to welcome such videos.